Small streams of water continue to shape the epic landscape that is found in Karijini National park. Part of Western Australia's Pilbara region, the parks ancient rock formations continue to be altered by the water that fills it stunning gorges. 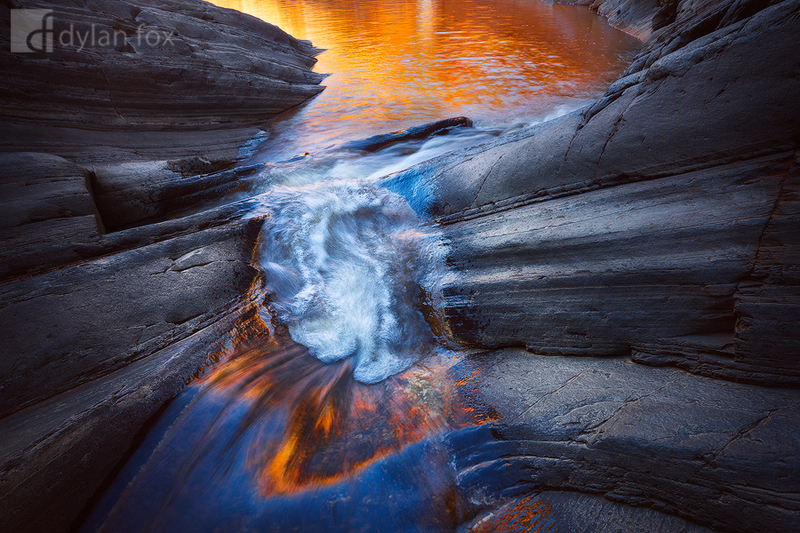 This photograph captures reflections of warm evening light reflecting off the above gorge walls as the water swirls its way across this rocky landscape. What a spectacular place! Secure your limited edition, Karijini National Park photographic print, 'Shape The Land', by selecting your desired print size in the menu to the right.